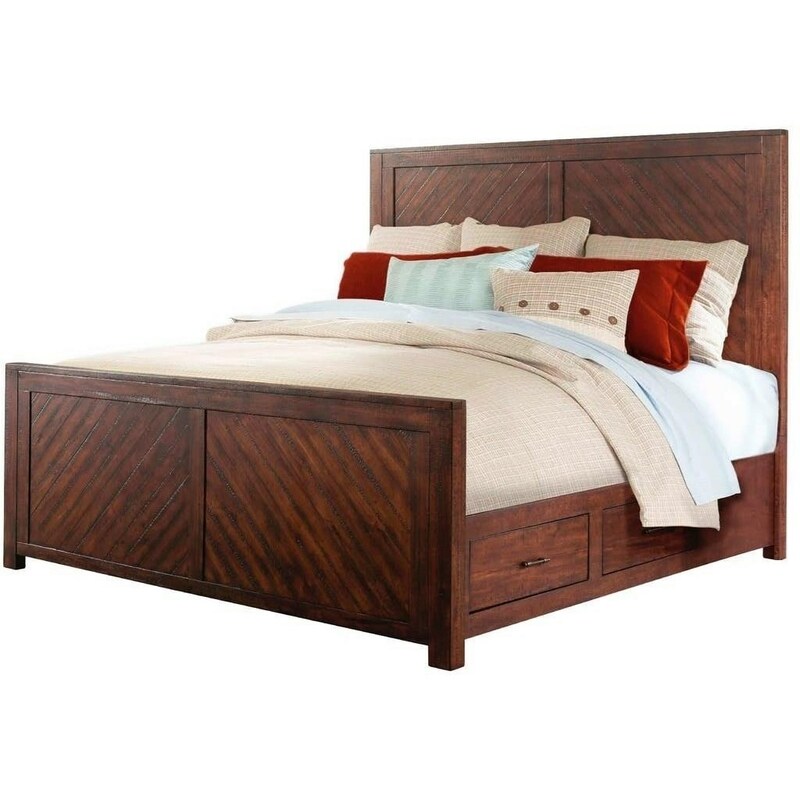 This stylish king bed blends contemporary and rustic styles perfectly with clean, crisp lines and a smokey walnut finish. The headboard and footboard panels are accented with unique angled inlay design adding sleek character to the bed. Ideal for a smaller scale bedroom, the bed has drawers in the sideboards. Pair with the storage pieces from this collection to create a matching chic bedroom set. The Jax Rustic King Storage Bed by Elements International at Miskelly Furniture in the Jackson, Pearl, Madison, Ridgeland, Flowood Mississippi area. Product availability may vary. Contact us for the most current availability on this product.